Zapp, Jonzun Crew, Space Dimension Controller, Class Action, X and more. Today’s FACT mix is from a name that you’re going to be hearing a lot more of in 2010: Space Dimension Controller. 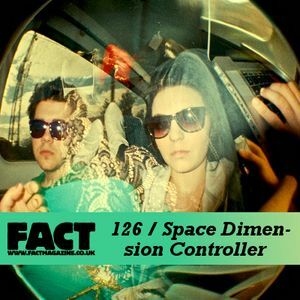 Space Dimension Controller’s FACT Mix is an adventure and a half, and the perfect introduction to his bold aesthetic, boasting no less than six of his own productions, not to mention the aforementioned Kyle Hall remix. With both youthful insouciance and a very mature sense of selection and sequencing, SDC drops tracks from Round One (Basic Channel), Mike Dehnert, Model 500, Jimmy Edgar and Drexciya-related Der Zyklus, putting his own unique stamp on them through a litany of craftily deployed loop, delay and dub effects. amazing..lost count how many listens.. Pure Gem. Amazing. how did I miss this? all his stuff is superb.